I have an one layer card to share with you. I am participating in the Altenew Academy One Layer Wonder class by Kelly Latevola. I am a big big fan of Kelly’s work and her videos are my learning guides. So I didn’t want to miss her class. Anyway, here is my card for day #1. There are a lot of masking on this card. But adding shadows give the rather flat card lots of dimension. 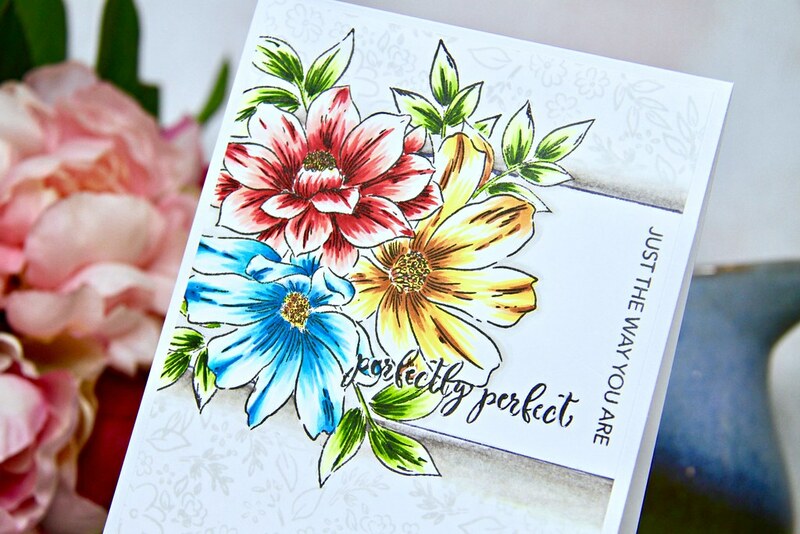 I have used Altenew’s new release Perfectly Perfect and Ditsy Print stamp sets on this card. 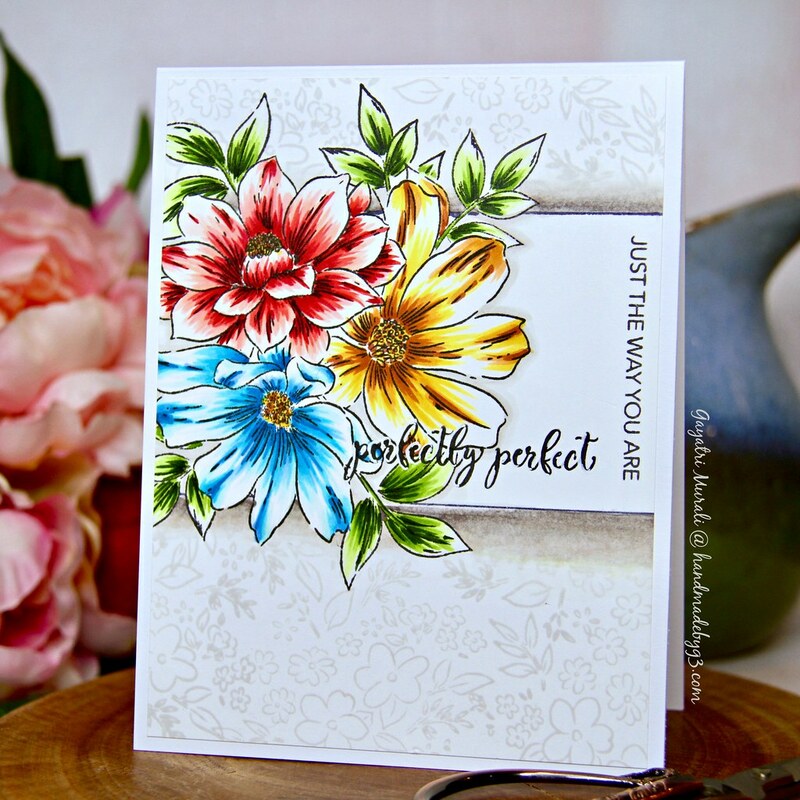 I started with stamping, masking and stamping out the floral cluster. 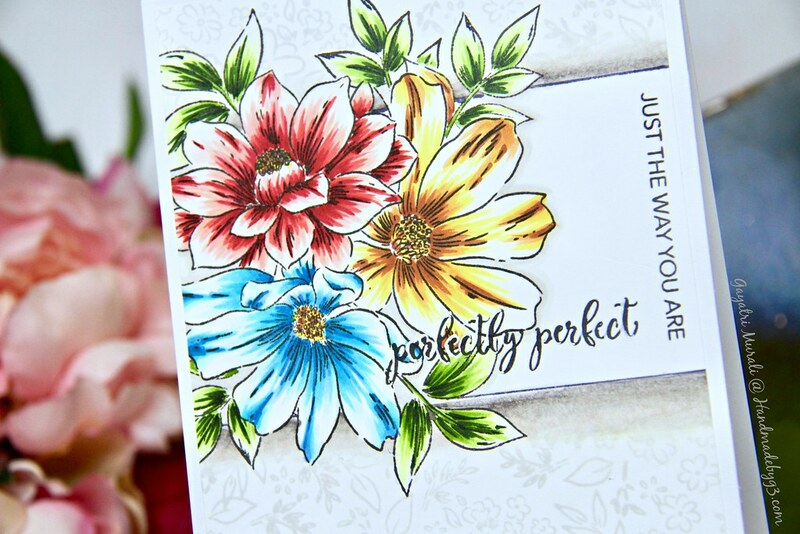 I coloured the flower cluster using Altenew’s Artist Markers, stamped the sentiment to mark out the panel on the card front. Then I added shading to the marked panel makes the panel pop out of the background. Then I masked the panel and the floral cluster to stamped the Ditsy Print outline image only in light grey ink. I trimmed the entire panel to 4’x 5.25′ in size and glued it flush to the white card base. I still consider it as one layer as there is no raised element on the card. The sentiment did not stand out as expected. So I used white gel pen to highlight it. This technique I learned from Kelly too. My hand were wobbly going around the sentiment. No perfect by atleast I am able to read it. 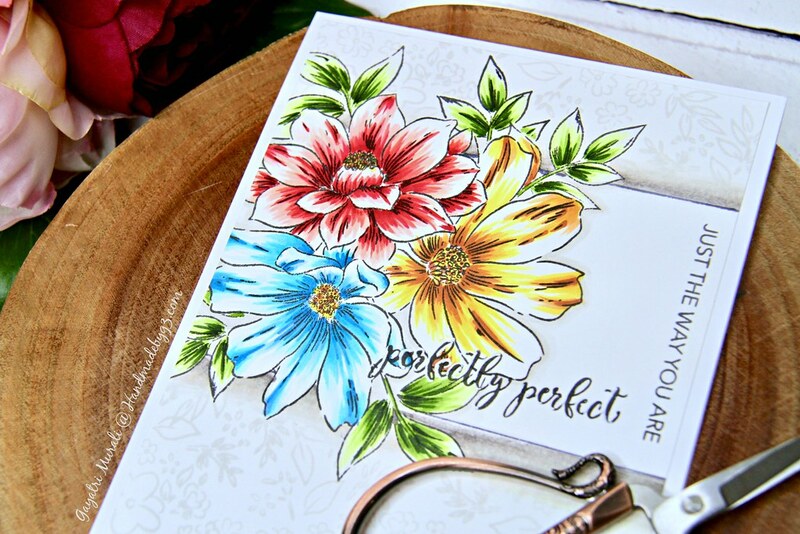 Looking at the photo of the card, I realise that I should have continued the shadow of the sentiment panel to the leaves and flowers spilling outside the panel as well. That would have made them pop as well. Maybe I will go back, add shadow to them and edit the post later to show you how that looks. 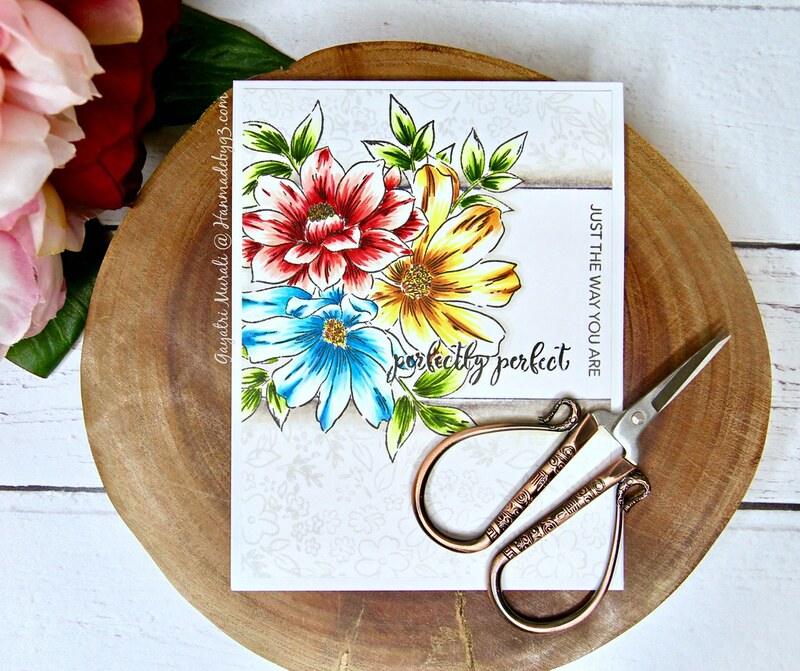 This is such an awesome card you are so talented. Gorgeous addition to the gallery. Amazing Gayatri. It certainly looks multi layered. Beautiful card. It is amazing how a one layer card can appear to have so many layers. wow! This card is just amazing! LOVE this :)) You’ve mastered the tips from the class perfectly!